← Foundations of human morality. Craig brings some clarity to morality? Interesting! 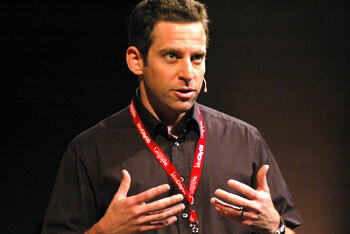 Is there a second wave of interest in Sam Harris’s ideas on human morality? Sure, many religious apologists really didn’t want to challenge these ideas until WL Craig had said his bit – preferably by way of a debate with Harris. And they got that debate a few days back. But that is hardly serious – they are reacting more like faithful fans at a boxing match. A common problem with debates. Even Craig appears to have a realistic understanding of his cheerleaders (although he attributes the phenomenon to “the free thought subculture” and not his own fans). Obviously Sam Harris won’t have the full story but he has made an important contribution with his book. Important because he has refused to be taken in by that philosophical mantra. Also because he has mobilised a much-needed debate among philosophers, scientists and the nonreligious about morality. And particularly consideration of the problem of moral relativism. And thanks for helping the rest of us see an important problem. Theology and religious philosophy may currently have little influence in the natural sciences. (although they still motivate external attacks such as the legal attempts to impose the teaching of creation). But their dead hand still has an influence in areas like philosophy. It’s important to recognise this and be aware when it sometimes affects even the nonreligious philosophers. Or scientists who accept some popular philosophical ideas uncritically. See also: Foundations of human morality. This entry was posted in agnostic, agnosticism, atheism, belief, Christianity, creationism, diversity, faith, god, intelligent design, philosophy, religion, SciBlogs, Science and Society, supernatural, superstition and tagged debate, god, morality, philosophy, PZ Myers, Sam Harris, SciBlogs, The Moral Landscape: How Science Can Determine Human Values, William Lane Craig. Bookmark the permalink.